This month, we’ll visit Werner Balsterholt, one of the many G-scale modelers in the Club. As you’ll learn in Chance Haworth’s video below, Werner began his love of railroading at the tender age of 11 years old. 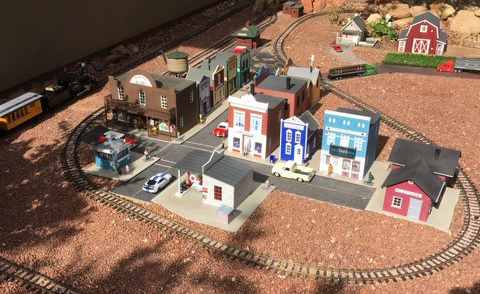 He began constructing his current G-scale layout about five years ago after moving to Sun River from Salt Lake City where his HO scale layout was located. After the video, be sure to click WERNER BALSTERHOLT – G-SCALE - NEW in the Member Layouts for photos of his layout.